Clothar, the son of a Frankish lordling, attends one of the few schools in Europe where logic and philosophy are taught along with battle techniques. He grows to manhood vowing to uphold the concepts of justice and righteousness. His family is destroyed by a heinous act of betrayal and Clothar flees for his life. His journey takes him to the court of the new High King of Britain. Arthur Pendragon is the shining embodiment of all that Clothar reveres and the young Frank readily swears him fealty. Together they will build a dream that might be too perfect to last. 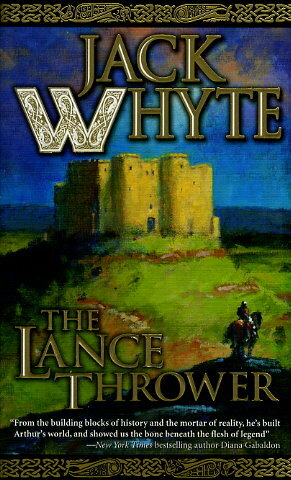 When this tale was first told, Clothar, Arthur's most beloved champion; was known simply as The Lance Thrower. Now, we know him as LANCELOT.